Our unique production method is truly amazing: The strength for the brand comes from Scandinavian six row barley, matured during the short summers and continuous sunshine throughout the summer. 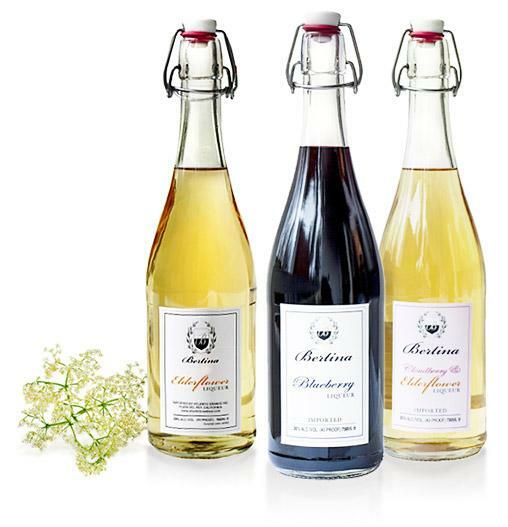 The elderflower & other flavors come from soaking the elderflower tediously in the ethanol, letting them mature and then eventually combining the ingredients. A touch of elderflower flavor is added to achieve this unique elixir. Truly delicate and unique! Bertina is a new extremely trendy, retro-positioned liqueur, with an exquisite and fruity taste that works well as key ingredient in many of today's top selling cocktails. Its lightness guarantees easy mixability with sparkling wine or champagne. The tall retro bottle with a swing-top closure ensure the highest shelf visibility.